Who doesn’t know the issue. There is a project to be done, but the permanent workforce is fully booked already. Or there is just no one among the own workforce that would be able to do it – not the right experience, not the right skills, maybe not the right ambition either. Ideally we can find someone that is working independently and that can be contracted for the period of the project. And off we go! No waiting time, no organizational issues internally, no disturbance of the usual work routine of permanent employees, no internal search for the right person to do it, etc. An easy solution! Ideally we find an expert that knows exactly what to do and will be able to conduct the project in no time because of his/her relevant experience with other, quite similar projects. Right, there is a downside to it – cost. Independent consultants seem to be more expensive than permanent employees – at the first sight. It is true, if we purely calculate the hourly rates and compare them with each other. But that would be the same as comparing apples with pears. Independent consultants are only paid for the time they actually work on the assignment – no distraction from the main target, no paid vacation and sickness period, no secondary cost such as insurances, equipment, etc. So cost-wise it’s actually the most efficient way to proceed – if we don’t hire independent consultants for permanent tasks… Consultants should only be hired for specific assignments that require their specific expertise. We miss the experience of doing things differently. Number 1 we can change ourselves, number 2 we can’t really. It is quite natural that we are lacking experience of how to do things differently if we have worked with the same company for years. There is no one to blame for this. We can try to keep being up-to-date by visiting conferences and network events and by reading a lot about innovation and best practices. However, this is not the same as having worked in a different organization and having dealt with the same kind of issues in a different environment. External consultants add the outside view and experience to our organizations, at least for a while. In addition to their own special expertise they have seen a lot of different organisations and therefore typically have a broad experience in terms of organizational structure, processes, systems, smart solutions, team set-ups, company culture, management styles, etc. Often enough this is not what they are asked to bring to the table, but keep in mind that they could contribute positively to a lot of your challenges just by telling what they experienced in other companies dealing with it and what those companies have implemented in terms of solutions, systems and tools. External consultants hear and see a lot, simply by being with an organization for a while. 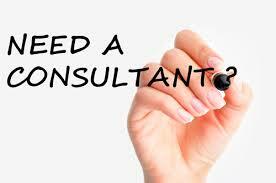 This is a great advantage for every organization that hires external consultants from time to time! Don’t underestimate this!